Recently, my go-to freshness shop launched a new summer campaign which I loved! 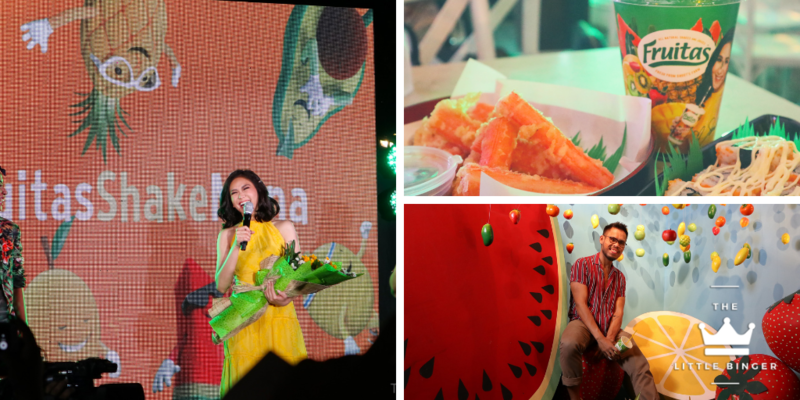 Fruitas invited The Little Binger along with other bloggers and members of the press to the grand launch of the “Fresh Ka Pa Ba?” campaign with their new endorser Sarah Geronimo! The event was held at Le Village Food Park and it was a night filled with fun, music, dance, lots of food, and of course, refreshing treats from Fruitas! Upload your #FruitasShakeMuna dance cover on Facebook, Instagram, or Twitter. Describe in the caption why you choose Fruitas to be your summer buddy! Tag 3 of your friends! Hurry up because the contest ends on April 22! Don’t miss the chance to be one of the five winners of P20,000 and 1 year supply of Fruitas products! So, there you have it, Bingers! Let’s stay cool this summer and para laging “yes” tayo sa tanong na Fresh ka pa ba? let’s #FruitasShakeMuna!